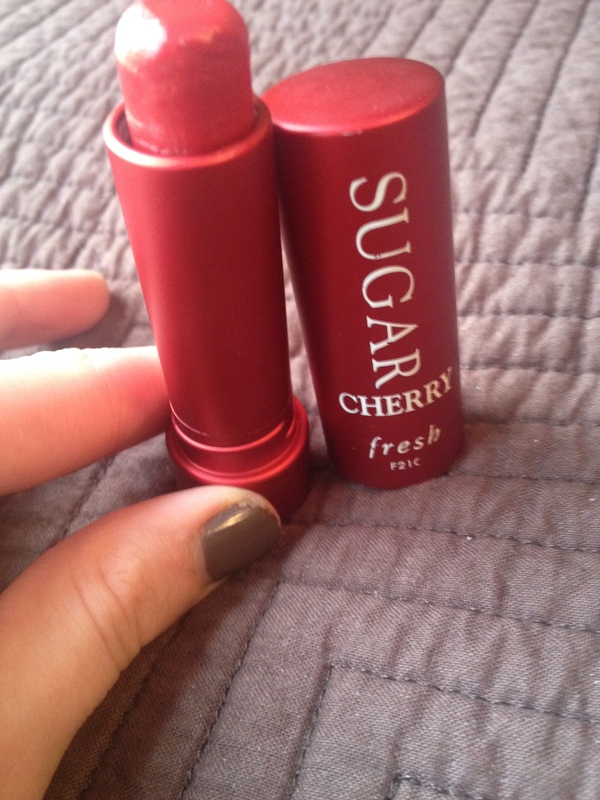 It completely astounds me that I don’t hear much about these Fresh Sugar Lip Treatments as the tinted balm kind of products keep on increasing and increasing in popularity and these have got to be the best formula if this shade is anything to go by. After enjoying the sample of the regular lip balm and enjoying it tremendously for actually helping to heal and hydrate my chapped lips, I asked for a tinted one for Christmas and surely enough this one appeared underneath my tree and although it may not be a product I rave about frequently it’s one of those rare lip products that also has significant skincare properties as well – it performs well as a balm regardless of it’s pigmentation but it does well on that front too unlike the rest that I’ve tried. 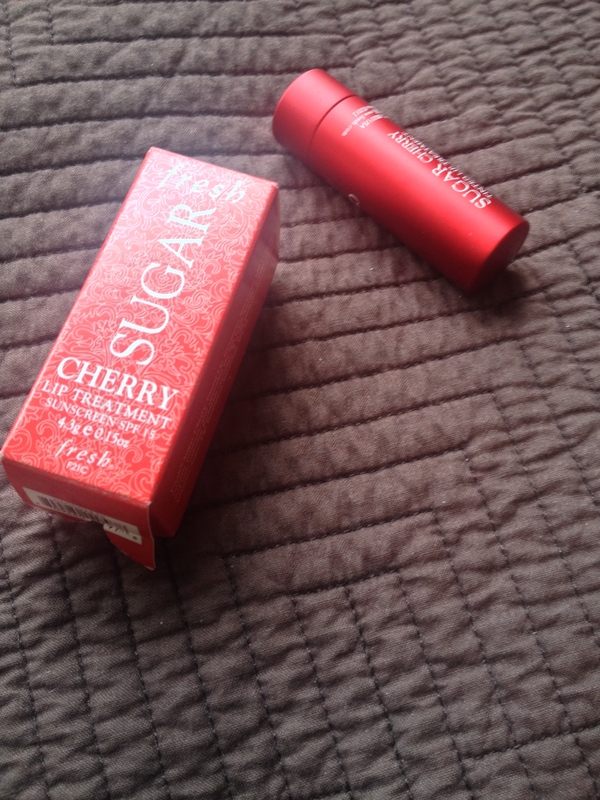 The Fresh Sugar Lip Treatment in Cherry retails for $26 CDN at Sephora, contains SPF 15 (with avobenzone and octinoxate) and 4.3 grams of product while promising to be a hydrating and nourishing lip balm while still providing a tint of colour. I’m one who tends to be a skeptic about products achieving their outlandish claims but I think this tinted balm does more than it even claims to do. It nourishes damaged and sore lips very well in the way that an effective balm only can while providing medium-buildable colour payoff that actually sticks around on the lips for 3-4 hours with some eating and drinking here and there without smearing or wearing off unevenly. 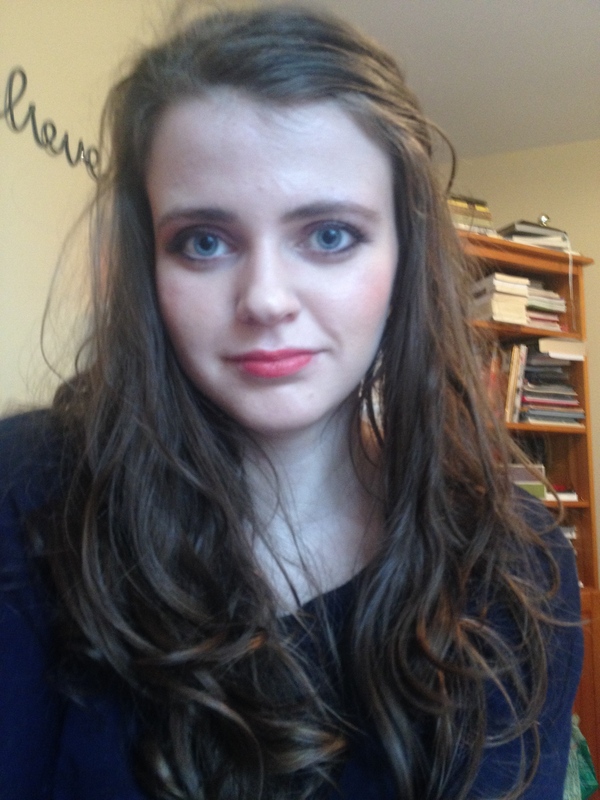 I’m someone who suffers from uncomfortably sore dryness on any sort of skin and in the winter here, I’m slapping on the lip balm like my life depends on it (and using the good stuff) and my lips are still sore and a bit chapped. The formulas that promise to provide moisture and colour that everyone and their cat raves about (Revlon Lip Butters anyone?) 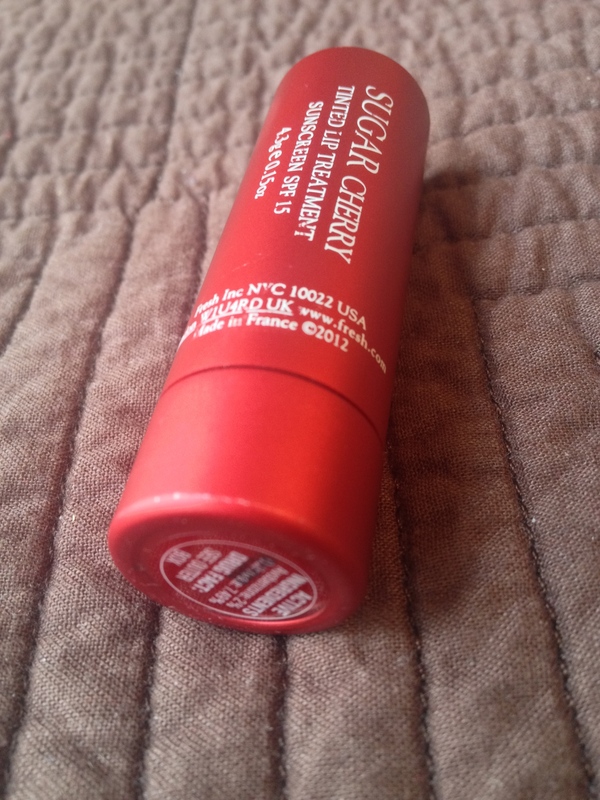 are just not cutting it, as my lips have gotten to that point where even these comfortable formulas are not sitting nicely and they need intense nourishment to soothe the less than ideal bits and without sacrificing the longevity and pigmentation, the Fresh Cherry Sugar Lip Treatment delivers. The balm feeling on the lips lasts for the full duration that the product remains on the lips and even when the product has faded, my lips are left feeling nourished which is extremely rare for me. They feel heavenly on the lips, just like a lip balm but without the waxy feeling of the lip butters etc. The Cherry shade is a fairly bright cherry-red (as the name would suggest) that seems to lean brick red on me with neutral-warm undertones. Although the treatment first applies somewhat sheerly, they quickly are built up to full on colour. 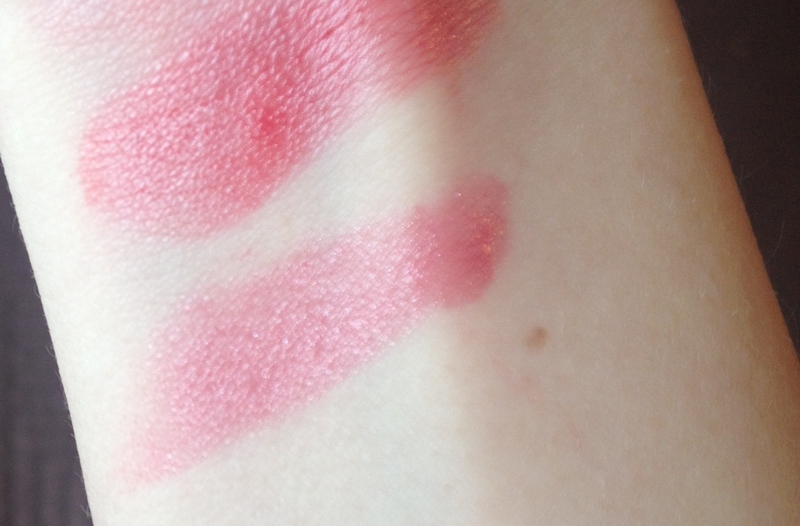 This is everything that I had hoped that the Revlon Cherry Tart Lip Butter would be but wasn’t — much more saturated with pigment, without shimmer while being intensely more moisturizing and forgiving on sore lips. 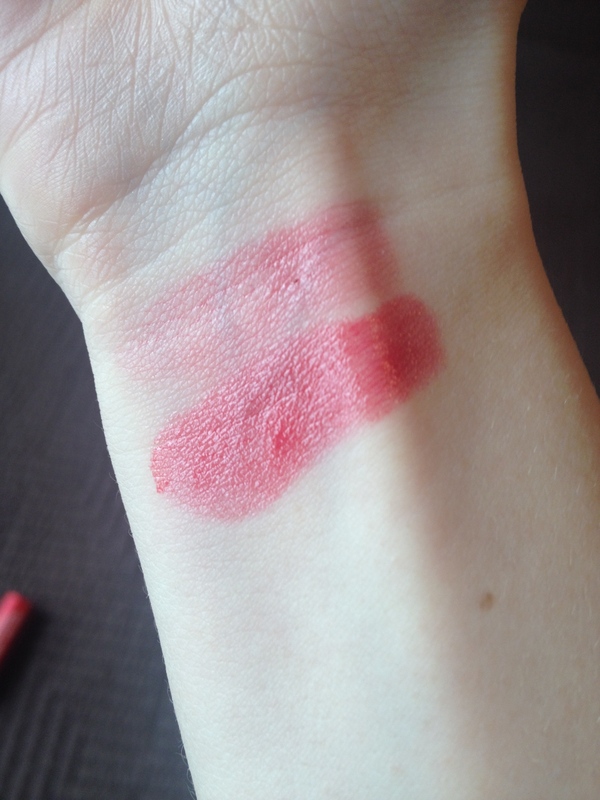 This seems like the perfect shade to wear to class as it provides the nice red tone that adds life to my face in the mornings, requiring no maintenance while still moisturizing the lips very effectively. I’m afraid to say that this balm is worth the hefty price tag and I foresee myself picking up a few more shades in the foreseeable future. The only thing I can find to criticize in the product is the size of the bullet — as it does not taper to a tip, it can be difficult to apply due to its strong pigmentation – but I really can’t complain on any grounds. What are some of your favourite under-appreciated products?